The seeds for the formation of GlobalMET were sown in 1989 when the heads of maritime institutions and trainers gathered informally to discuss common issues related to maritime training and possible solutions. Our meetings at that time were focused on the Asia – Pacific region, but this gradually expanded to Europe as more institutional heads joined in. From 1990 to 1995, we held four such international meetings at Dalian Maritime University in China, Fiji Institute of Technology in Suva, Far Eastern State Maritime Academy in Vladivostok and at the New Zealand Maritime School in Auckland. The Secretary General of the International Maritime Organization expressed strong support for us through communiques and senior IMO officials attended many of these meetings. 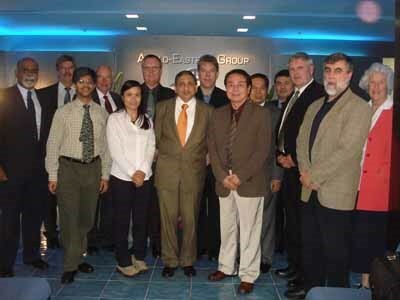 At the Auckland meeting in December 1995, it was unanimously resolved to establish an Asia Pacific regional association. In September 1996, representatives of 18 maritime education and training institutions of Australia, China, Hong Kong, Japan, Papua New Guinea, New Zealand, the Philippines. Russia and Singapore met in The Hong Kong Polytechnic University in September 1996 and inaugurated the Association of Maritime Education and Training in Asia Pacific (AMETIAP). This effectively planted the seed of the organization that would subsequently bloom into GlobalMET as it is today. By this stage, in addition to the IMO, support for the initiative also came from the Hong Kong Shipowners Association (HKSA) and the Hong Kong maritime unions. In December 2002, we further formalized ourselves and GlobalMET was incorporated in Australia as AMETIAP (Global) Ltd. Subsequently, our membership grew, with many institutions from Europe and the Americas joining us. The name "Global Maritime Education and Training Association", with the working name "GlobalMET" were adopted in 2006 to reflect the growing global role with more members based outside the Asia Pacific region. A new logo was adopted to reflect our maritime links and global outreach. In February 2007, our registered name in Australia was changed to 'GlobalMET Limited' to reflect this transformation. 2008 marked a milestone for us at GlobalMET. In June 2008, at its 100th Session, the IMO Council approved our application for NGO Consultancy Status. This was endorsed by the IMO Assembly at its meeting in November 2009. 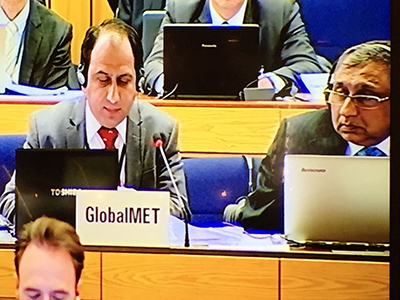 Ever since, representatives from GlobalMET have been active at the IMO, taking part in discussions related to maritime education and training, STCW, safety and pollution prevention and a number of similar allied subjects. We participate regularly at IMO meetings including HTW and have been part of the writing of a number of model courses and sub committees. We also work in close collaboration with industry bodies including the Nautical Institute, Intertanko and Rightship. GlobalMET is currently participating in a large project with a number of maritime organisations including the Nautical Institute, Rightship and the International Chamber of Shipping in compiling an industry guideline called “ISBCT (International Safety Guide for Bulk Carriers and Terminals)”. We also conduct regular workshops and conferences across the world. Do see this website for further information on our latest upcoming conferences. GlobalMET has NGO status at the IMO. Website designed by: Core Competency Marine Training Pvt. Ltd.